$LABS $KHRN on fire! Bags are full! $KHRN - Come too daddy! Dear Traders, What a month for $KHRN, $LABS and $TRST investors! Great gains! $KHRN looks like selling pressure is picking up.. I'm expecting it to hit and bounce of from some support area's, but My gut feeling tells me to put a buy order at 2.85C$ so let's see if that feeling was on point! Keep your eyes on the charts! 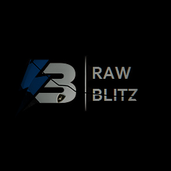 Raw_Blitz out. LABS - Medipharm is looking ready to blow! Dear Traders, Let's look at $LABS today. I waited for this TA because I need confirmation, and look at this reversal! LABS shows its ready to pop! In the interview Pat, the ceo of LABS, said there is good news coming! What a start of 2019 for this great company! Keep your eyes on the charts! KHIRON - Looking really charming! Canopy Growth Strategic Extract Supply Agreement With Medipharm! TerrAscend - Bullish Divergence + Q3 Earnings ! BTC - Reversal Point ! ORGANIGRAM - Back to the buy zone? ACB - What's next for Aurora? Medipharm - License + Partnership !